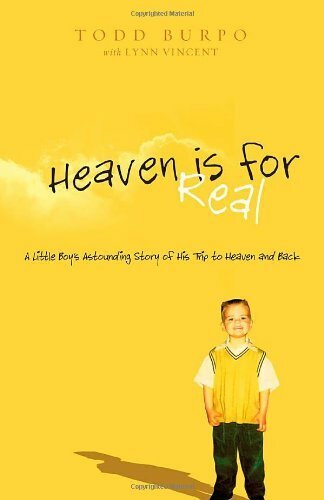 The New York Times reported that on Easter Sunday 2011, the number one book on Amazon.com’s Religion and Spirituality best-seller list was Heaven Is for Real: A Little Boy’s Astounding Story of His Trip to Heaven and Back, an account of a four-year-old’s near-death experience as dictated to his pastor father. It turns out that near-death stories are reliable sellers. There’s another book about a child’s return from paradise, The Boy Who Came Back From Heaven, just a little further down the Amazon rankings. In fact, Amazon has a list of books that deal with near-death experiences. For a moment, I felt a little left out. Having survived two legitimate near-death experiences (death #1 and death #2) and one that most people would characterize as close enough, I wondered if I had let an opportunity go by the wayside. Maybe I should write a book about my experiences. After all, I’m a two-time survivor with a warm-up story to boot. This has to be better than the unreliable ramblings of a four-year old. Right? “We’re talking CPR, mouth-to-mouth… everything?” he asked. Perhaps I need to be slightly more inspirational and uplifting if I ever hope to profit from my near-death experiences. Maybe add a little white light.